It’s not uncommon to hear leftists complain about “the unfettered market.” But if you thought the far left was the only threat against free market capitalism, think again. In the last few weeks, prominent conservative voices have begun to parrot leftist-style talking points about the supposed “immorality” of the free market. It began with Tucker Carlson’s monologue on January 2nd, in which he mocked many conservatives for thinking that the market is “sacrosanct” (a typical leftist-smear), and argued that the free market was at least partially to blame for the breakdown of the family in rural America. While some conservatives (rightly) called out Carlson for his populist victim-mongering and for his shoddy historical analysis (the best of which was probably this piece by David French at National Review), other conservatives seem to have taken his monologue as a signal that it was safe for them to stick their toes a little further out of the closet of anti-capitalist sentiment. David Brooks, the token conservative over at The New York Times, wrote an opinion piece shortly after Carlson’s monologue on “The Remoralization of the Market.” The obvious implication from the title is that the market has somehow been de-moralized. Some of the chief supposed sins of the market which Brooks cites are the fact that some hedge-fund managers could earn billion-dollar salaries, and the fact that some successful companies (like Apple) have managed to reduce their tax-burden (he even insists that “Apple employees should be humiliated and ashamed”). Apparently Brooks agrees with Bernie that it’s immoral to earn a lot of money through free trade, and that it’s even more immoral to find ways of keeping one’s own money safe from the looting and wasteful government bureaucrats. But Brooks isn’t the only self-proclaimed conservative agreeing with the likes of Bernie Sanders. Rod Dreher, of The American Conservative, followed Tucker’s monologue with his own piece in which he confesses his “Secret Right-Wing Elizabeth Warren Crush.” Dreher positively gushes with praise for Warren’s economic policies, and even claims that they are “fundamentally conservative, in an older, more organic sense.” Of course, he may be right. There might be a margin of overlap between some unprincipled conservative rhetoric of the past and the “softer, gentler” socialism being pushed by progressives today. All this would prove is that conservatives haven’t always been the best at articulating their own position in a consistent manner—which, of course, shouldn’t come as a newsflash. The important thing to note is that conservative intellectuals (the very people who were supposed to be the defenders of capitalism) are beginning to join forces with both leftist intellectuals and social justice warriors in waging an all-out moral war against free market capitalism. Who, then, will provide a defense? Only those who understand that the war is indeed moral; i.e., only those who are prepared to give a moral defense of capitalism. 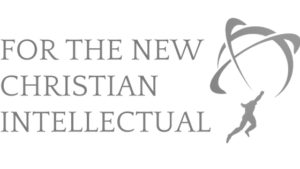 That’s one of our chief missions here at For The New Christian Intellectual. Incidentally, the fact that those conservative intellectuals who are betraying capitalism all claim to be Christians might tip you off to the motive behind our name. We aim to provide a moral defense for capitalism, and to equip other Christians to do likewise. To defend the morality of the free market, we need first to understand what it is. There is not some nebulous, disembodied, entity called “the market.” There’s only people, living their lives. The concept of “the market” is just a shorthand way of summarizing all the choices made by those individual people in their day-to-day lives. So, when we talk about a “free market” what we mean is a free people. And when they talk about a “fettered market,” what they are talking about is a fettered people. Of course, no one wants to be stuck with the position of arguing for putting people in chains, so they prefer to speak about the market as a mere abstract entity which exists apart from the individual choices which make it up. As a result, they think they are justified in some rather wild expectations about what the market should do. Now remember, Brooks’ complaint is about how free market capitalism “obliterates” every other social “priority.” How? By allowing corporations to aim toward making a profit (i.e., “maximizing stakeholder value”). The profit motive is the problem, according to Brooks. Rather than making a profit (and thus “screwing” their hometown—as if profits are made at the expense of others), Brooks thinks that corporations should be forced to “serve” their communities. That’s the moral purpose of corporations, according to Brooks. Now this is interesting, and not a little ironic. Brooks complains that the economy has crowded out other aspects of life, and as elaboration on this complaint, he explains that he wants the market to infiltrate and “serve” every other aspect of life. Which is it? Does he want the market to leave other aspects of life alone, or does he want to utilize the market to manipulate those other aspects of life? Does he want to keep the market “in its place,” or does he want it infiltrating and tinkering with other areas of social life? Carlson makes a similar move. He emphatically denounces the idea that the free market can be a cure-all (as if advocates of the free market think it is), noting that happiness is not automatically achieved by a higher GDP. But then he blames the market for all sorts of social ills, from drug use to the breakdown of the family. Like the anti-capitalist left, these anti-capitalist conservatives lack the self-awareness to realize that they are the ones making a cultic idol out of the market. They are the ones who expect the market to be a panacea for all social ills, from personal piety to the general moral health of the community. They want to replace the Church with the market. And they have the audacity of accusing us (those who promote free market capitalism) of “worshiping” the market. They want the material goods traded in the market to produce the spiritual values of a moral character. And they call us the materialists. Like the hypocrites of the left, these anti-capitalist conservatives are guilty of the very sins for which they claim to condemn capitalism. But apart from this blatant hypocrisy, there’s a more fundamental problem with their expectations for the market: it isn’t supposed to do all those things. In fact, the market isn’t “supposed” to do anything. And this is where morality truly applies to the market: not in what it does, but in what it is. As noted above, the “market” is just a shorthand way of referring to the vast matrix of human choices in society. Therefore, when we think about the market we should first and foremost have in mind the concept of individual choice. To say that the market should have “done” something (like keep families together, for instance) is to say that the conflux of every human choice in society should have resulted in that thing. To blame the market for the breakdown of the family is to blame the choices of every individual in society for that breakdown. It’s a way of transferring responsibility to everyone else, to society at large. This is merely a “family-friendly” version of the victim-mongering, responsibility shirking, collectivism of the left (which, incidentally, isn’t actually friendly to the family at all). These conservatives see the market as being “in tension” with other social values, like “faith, family, community,” etc… But such “tension” is only possible if we join the collectivists of the left in forgetting that “the market” is just a shorthand way of talking about individual choices regarding material wealth. The only way the economic choices of other individuals in society can be seen as a threat to one’s “faith, family, [or] community” is if one thinks that those things rely on forcing people to choose differently than they otherwise would have. I don’t know what “faith” Yuval Levin has in mind, but the Christian faith certainly doesn’t require physical force to be exerted in order to be healthy. Neither does a properly Christian conception of family or community. Note also that the only way to achieve this collectivistic aim of “balance” is for some person (or group of persons) to attempt some sort of calibration of the economy—again, as if the economy is something separable from the individual choices of which it is composed. In reality, any attempt to calibrate the market is an attempt to manipulate individuals—whether through force or fraud. Moreover, notice how Yuval Levin suggests we resolve the supposed tension. He says that we must “recognize that the market is a means, not an end.” This sentence very succinctly demonstrates the fundamental immorality of how these conservatives think about the market. They see the market as a tool to be used in the construction of a good society. But again, the market is just the sum of individual choices. To treat the market as a tool is to treat individuals as tools. When they say that “the market is a means, not an end,” they are saying that the lives of individual men and women are mere “means” to be used for their collectivistic ends. This is what they want when they call for “limits,” “bridles,” and “fetters” to be placed upon the market. What they are really calling for is the limiting, the bridling, and the fettering of individual men and women. Those who mock an unbridled market are merely trying to mask their own unbridled power-lust. To these men, the market—and thus, the individual choices of which it is composed—is merely a tool for them to utilize as they see fit. They are utilitarians, through and through, for whom the end of their ideal society justifies the means of shackling individual innocent people. So what if the local landscaping company wants to make a profit by hiring (legal) immigrants who are willing to work for less money than a “native born American”? Carlson doesn’t care about the individual owners of that company any more than Brooks cares about the individual shareholders of Apple, who likewise want to make a profit. If the common good of “faith & family” (whatever that might mean) calls for them to sacrifice their profits, then so be it. These conservatives have completely abandoned the concept of inalienable individual rights, and thus, have abandoned the only moral restriction on government force. So long as the free choices of individuals is seen as a mere “means to an end,” that freedom can—and will—be taken away whenever, and to whatever extent, their arbitrary “end” is perceived to be in danger. And no matter how noble their professed ends seem to be, the only inevitable end of this monstrous “the-ends-justify-the-means” mentality is mass bloodshed—as has been witnessed time and again throughout the last few centuries. Once you remove the moral barrier of individual rights, and replace it with some hazy notion of “the common good,” the only thing preventing the bloodshed is time and happenstance—both of which are too quickly spent. So long as conservatives agree with leftists in their contempt for individual rights, such bloodshed will be the end for America as well. But it doesn’t have to end that way. There is still hope—however dim—for America to return to its roots; to return to those fundamental principles which have so far protected it from those bloody ends of other nations. We can still reawaken the American spirit of liberty, of personal responsibility, and of inalienable individual rights. But only if we speak boldly with absolute moral conviction against all those—whether on the left, or on the right—who lust for power in the attempt to turn the lives and wealth of some men into the means of others. Only if we reclaim the moral high ground which is rightfully ours. These “conservative” enemies of capitalism are revealing the underlying reality that, in fundamental conviction, they agree with the progressive left and their social justice warriors. They are moral compromisers, power-lusters, and half-hearted socialists. They do not have the moral vision or conviction to lead in the defense of capitalism. Competent conservative leaders would recognize and promote the essential role of inalienable individual rights as protection against every power-lusting pressure group. They would call for a separation of economics and state, for the same reason that they call for a separation of Church and state. They would speak in clear moral principles, rather than appealing to vague pragmatic ends. And they wouldn’t attempt to engage in the insane attempt to “balance” good ends which are not truly in tension with each other to begin with. The conservative leaders we need today are those who unapologetically call for laissez-faire capitalism as the only moral social system. Nothing less will do.